Custom-made umbrella with Swarovski-crystal-encrusted handle, $550, Alan Bilzerian. Antique umbrella with briar-wood-and-sterling-silver handle, $110, Marika’s Antique Shop. Concord umbrella with beechwood-and- resin handle, $85, December Thieves. Antique umbrella with gold-filled-and-mother-of-pearl handle, $400, Exclusive Jewels Gallery. 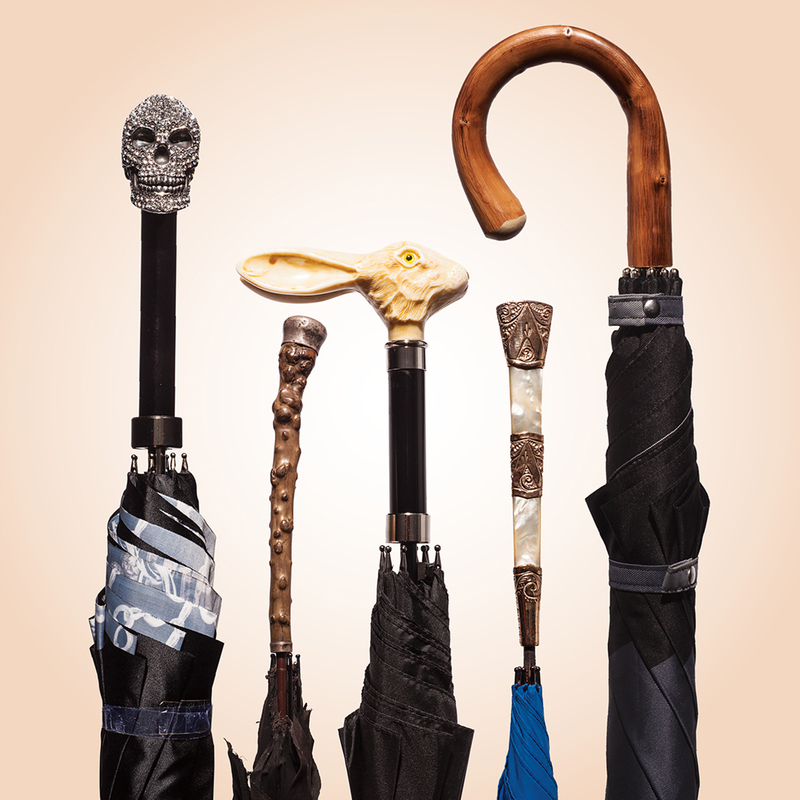 Francesco Maglia umbrella with chestnut handle, $295, Barneys New York.